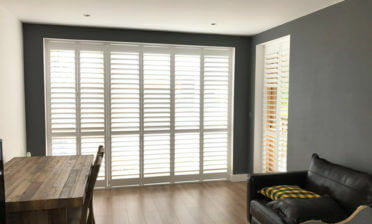 These shutters were fitted by Mark and Harry for a home in West Croydon, Surrey. The owners were looking to create privacy on the lower half of their window due to the often busy street outside. 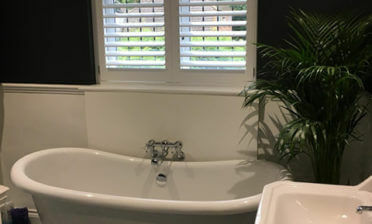 With Cafe style shutters the customer is able to block privacy on the bottom half of the window without having to block light entry from the top! They opted to use these shutters in combination with some curtains that can be pulled across at night. 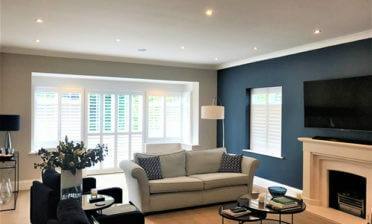 The shutters look fantastic installed across the three windows and carry out the privacy requirements while also allowing adjustment or opening to let even more light stream into the living room. We finished all shutters in pure white with matching white hinges. 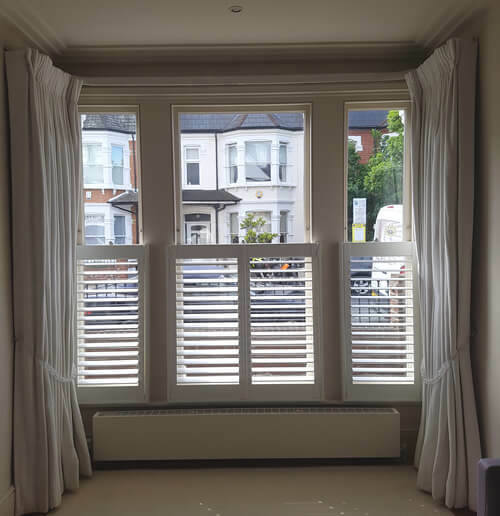 They were created using hardwood from our Fiji Range complete with 76mm louvres and hidden tilt rods which create a clean and minimalistic look.